So I actually remembered to tune into Trackside with Kevin ‘N Cavin yesterday afternoon... As I was all excited ‘bout it last week only to discover that the NFL Draft was pre-empting it instead. Unfortunately they seemed to spend an inordinate amount of time discussing future Oval Tracks... Psst! Newsflash guys! Not ALL of us wanna hear ‘bout Ovals; Kapishe! As hey, there’s a very good track already built up here in the Pacific Northwest named Portland International Raceway! And they spent way too LITTLE time with The Flying Dutchman, a.k.a. 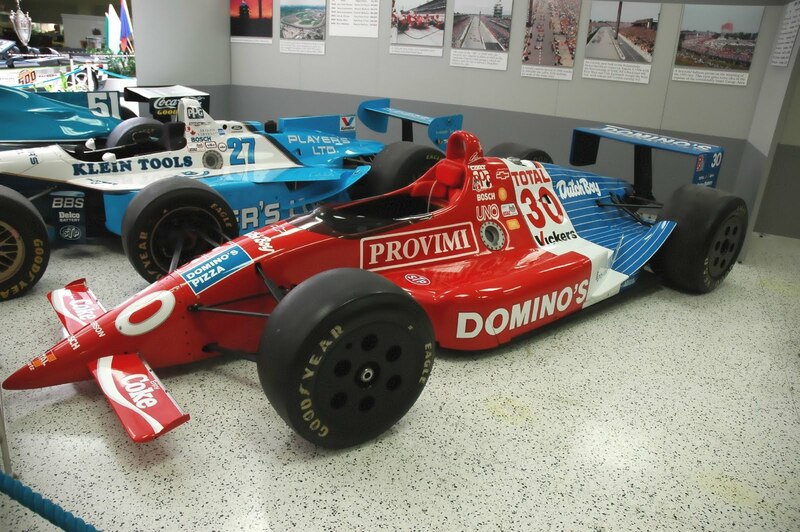 Arie Luyendyk,(Senior) as its way too hard to fathom that it was 20yrs ago that the Doug Shierson Racing Dominos Pizza Car entered Victory Lane at The Speedway... As ‘Ol Arie summed it up best; Time Flies by!